What can you do when your world falls apart? Can you blossom after the trauma of abuse and divorce? Are there really new beginnings and better days ahead? Behind the walls of homes and churches, many women suffer in silence. The one who vowed to love them has bullied and battered them into submission. Abuse, jealousy, fear, shame, and confusion have stolen their peace of mind and dreams of a “happily ever after.” Is there hope for a better life? 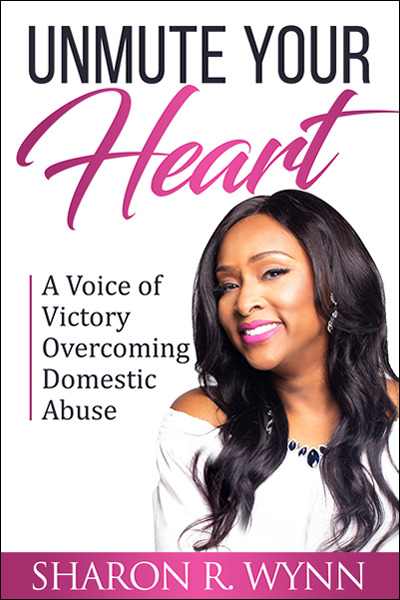 Sharon openly shares her experiences with verbal, emotional, and physical abuse at the hands of her ex-husband, a pastor and former NFL player. Hers is a story of a Barbie doll love affair turned sour. But it is also an amazing testimony of how you can unmute your heart, heal, and blossom again despite the trauma, pain, and disappointment of a failed relationship.